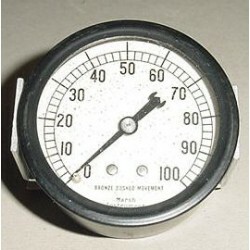 2 5/8" Vintage Warbird Aircraft Direct Reading Oil Pressure Indicator. Manufactured by Marsh Instrument Company. P/N 329-3210. It comes with mounting ring. Very clean item. It shows very well and it would make an excellent show piece for the bookshelf in the office or home or just as a mock up panel item. 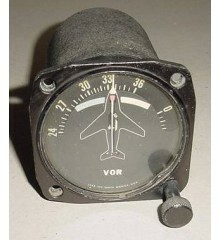 2 5/8" Vintage Warbird Aircraft Direct Reading Oil Pressure Indicator. Manufactured by Marsh Instrument Company. P/N 329-3210. 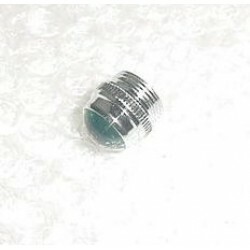 It comes with mounting ring. Very clean item. It shows very well and it would make an excellent show piece for the bookshelf in the office or home or ju.. NEW!! Aircraft Cockpit Indicator Light Lens. P/N 222-0132-300. NSN: 6220-01-137-4539. Vintage Bendix Scintilla Ignition Analyzer / Test Set. P/N 10-35130-1. Condition, as removed. Sold as is, no returns. Vintage Warbird Aircraft Cockpit Auxiliary Power Plant / APU Control Panel. It shows very well and it would make an excellent show piece for the bookshelf in the office or home or just as a mock up panel item. Vintage Warbird Aircraft Cockpit Auxiliary Power Plant / APU Control Panel. It shows very well and it would make an excellent show piece for the bookshelf in the office or home or just as a mock up panel item. 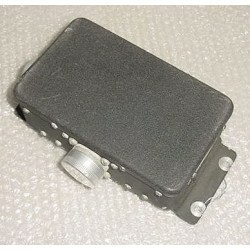 Do you happen to know the type of aircraft this item went on?? If s..
Vintage Warbird Jet Control Panel. Model KR-105-A or KR105-A. It is a French warbird panel. Very clean item. It shows very well and it would make an excellent show piece for the bookshelf in the office or home or just as a mock up panel item. 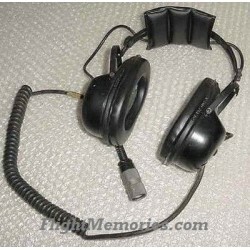 Vintage WarbirdAircraft Headset as shown on photo. P/N HE-251-002 or FSCM16575. Spec H-251A/U. NSN: 5965-01-182-3384. Ear piece foam has crumbled up due to age and speaker pieces are exposed but headset appears to be functional otherwise.